The purpose of this website is to host information about earth-moon-earth (EME) communications in the interest of helping people who are interested or just getting started in EME. Bouncing radio signals via the moon and back to earth is a real challenge. Hearing your own echoes coming back from the moon for the first time is something that every moonbouncer will remember for the rest of their life. Satisfaction guaranteed! The information provided on this website is divided into technical and operating topics. Each band has it's own link. The information is coming from many sources around the world. Experienced moonbouncers kindly provide this information to help their fellow amateurs. Moonbounce is generally speaking not done every day of the year. As the moon travels around the earth in a cycle of about 28 days different parameters tells us what days are good and what days are bad. This website will provide you with moon calendars that provide detailed information about moon data and published activity events. 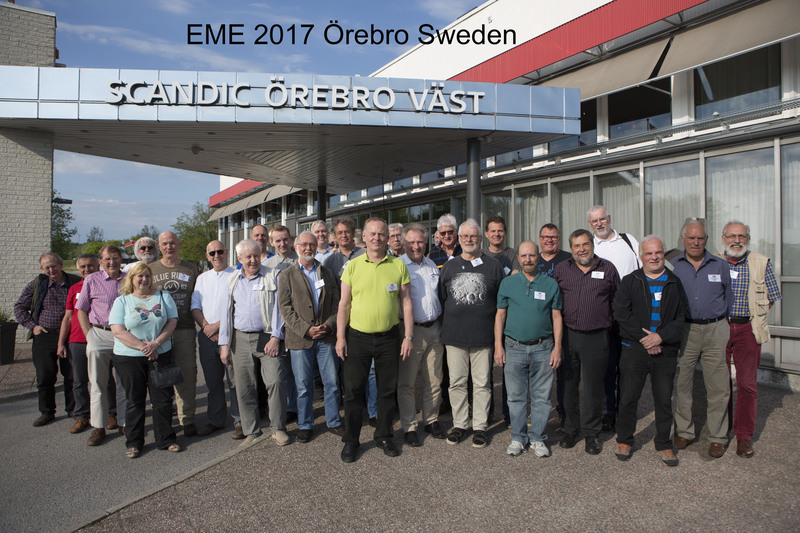 The 2017 Swedish EME meeting was again held in Örebro on May 20-21. As previous meetings, this was yet another success! Moonbouncers enjoyed a fascinating set of presentations about detailed aspects of EME as well as enjoying the opportunity to meet, greet and discuss with old friends. The thanks of everyone go to Lars SM4IVE for organising the event and to all the presenters and supporters. The Rise and Rise of 6cm EME! Enjoy the presentation from G3LTF Peters talk on 6cm EME at the RSGB convention. Without doubt, 6cm EME is the hottest place to be at the moment! 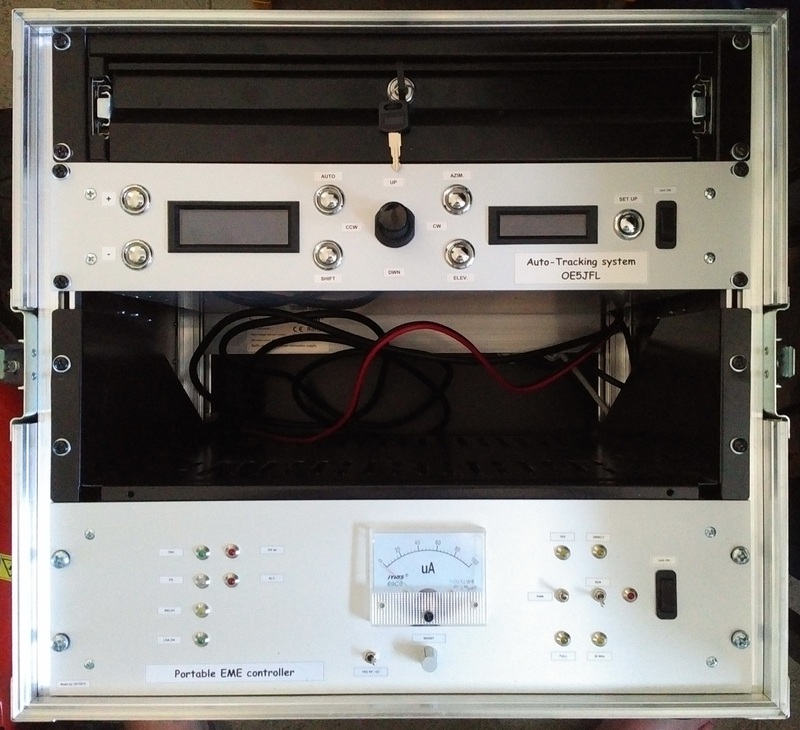 Listen to the 1296 MHz Moon Beacon ON0EME - moon echoes on a daily basis, all year long! 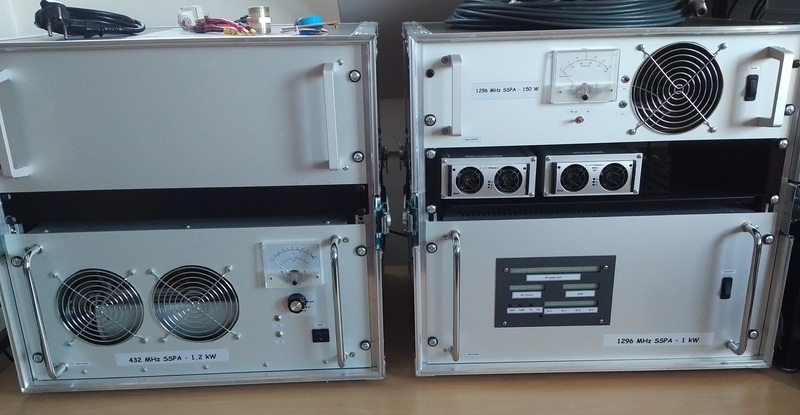 The ON0EME Moon Beacon is a technical marvel in itself, bouncing signals off the moon surface back to earth every time the moon is visible in Belgium. The idea started in Örebro Sweden during a meeting with radio amateurs interested in EME ( Earth Moon Earth ) communications. On the way back home HB9BBD, ON4BCB and ON7UN discussed the possibilities and by the time they where back home the project was born. After 10 months of intensive building the 1296 MHz moonbeacon was active. In Germany Per Dudek DK7LJ is running a moon beacon on 10.386 MHz, the 3cm EME band. This high tech beacon is providing moon echoes whenver the moon is visible in Germany. Download the presentations from the Swedish EME Meeting in Örebro 2015. Lasse SM4IVE invited 432 MHz & Up moonbouncers to the 3rd EME meeting in Örebro. The meeting toke place on 24-26 May 2013. In 2012 Cambridge hosted the 15th International EME Conference – the first time the UK has hosted this prestigious event. Check out the website for some interesting information. Click on the logo above to get to the conference website. HB9BBD Visit Dom HB9BBD to check out his shack and his 10m dish!! OK1KIR Visit OK1KIR for some "all band EME" information! This page is dedicated to Earth-Moon-Earth communications, also called Moonbounce. Check out these links, you will find a lot of excellent information!